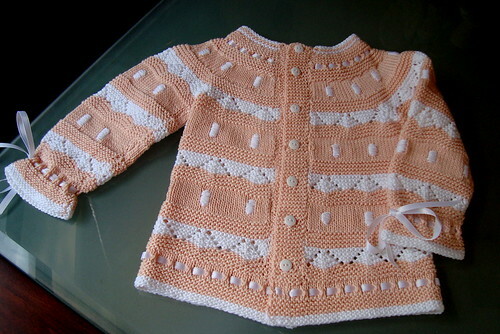 The ‘Lanas Stop’ baby sweater is complete! 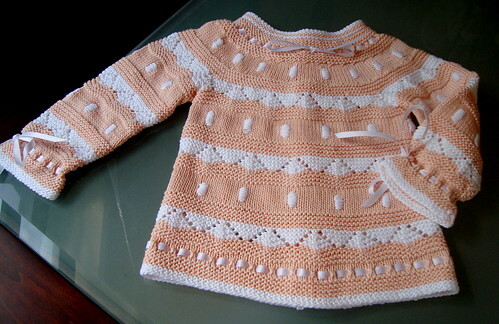 Yes, it’s finally done after going through “Spring-cleaning” and a family reunion (I taught a cousin how to knit!) 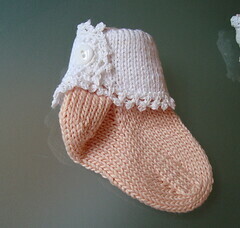 In the end I decided to make little matching socks, and I love this pattern with the buttons on the cuff. 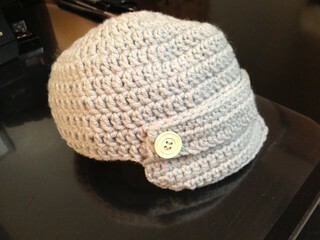 I crocheted a picot edging instead of sewing on a lace trim as stated in the pattern. 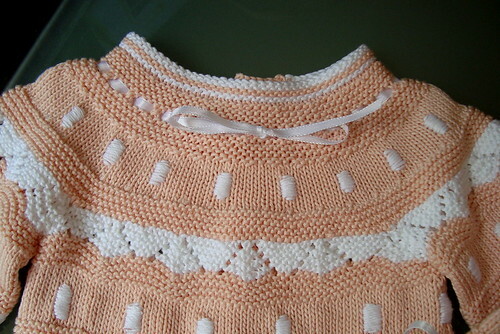 The sweater pattern was easy, even though the lace pattern makes it look intricate. The only change I made was to reverse the color sequence so there is more peach than white, so I can use white ribbon, since finding a peachy colored ribbon would have been more difficult. Although the white embroidered satin-stitch polka dots are cute, it took forever to finish all of them! 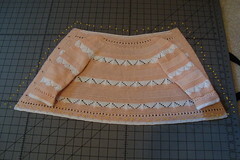 The body of the sweater is worked in one piece with a back button band. As mentioned in my previous post, I used a 100% cotton yarn instead of the angora called for in the pattern. 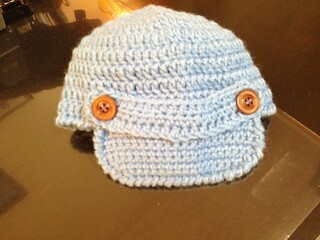 This is my first time using Elann.com’s ‘Lara’ cotton yarn. I really like the sheen of this yarn, and it is a cheaper alternative to comparable cotton yarns. 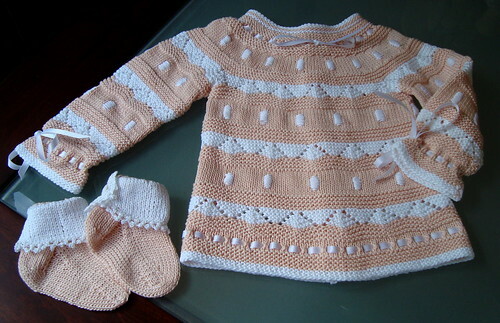 Overall, this sweater set was fun to make and turned out very cute. I can hardly believe it, but I finished these socks that I started way back on Oct. 31st. 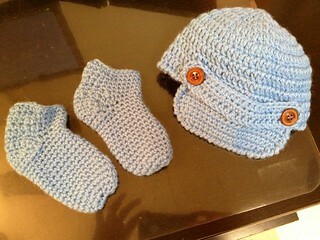 There were several projects in between, because of Christmas and baby shower gifts. These socks are for one of my nieces who attends FAMU (green and orange are the school colors.) Now, if it wasn’t because I love my niece, these socks could very well have found themselves incomplete and thrown in the “stash pile.” Why? Two reasons why: 1) these were the first socks I ever tried stranding a second color with, which is awkward at the ends of each row when using the magic loop technique, and I just didn’t do a good job with the yarn tension; 2) first time doing a “toe-up” design, using a figure-8 cast on. I struggled with the heel; after several trys and reading tutorials, I still ended up with a “hole” (I prefer a cuff-down sock pattern). Whew! I’m glad this project is finally completed. I can’t wait to put them in the mail!